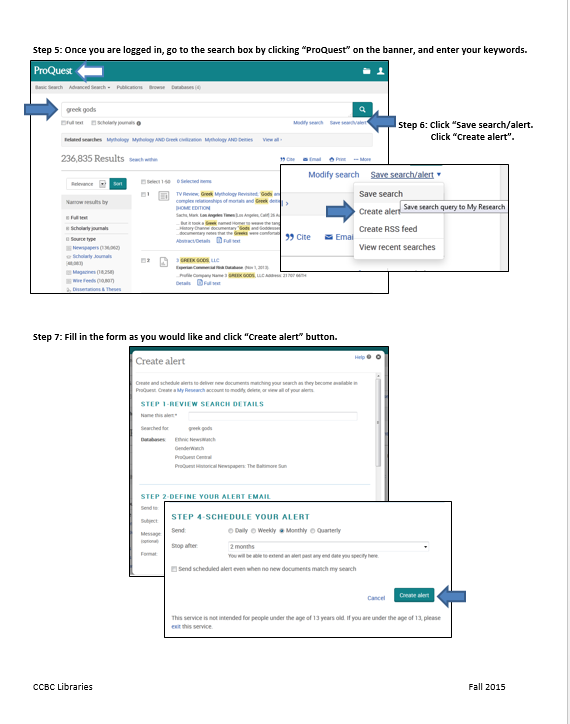 Alerts can be used by students and faculty to stay up-to-date with new publications, either from a particular journal or a subject. The alerts can be emailed or included in an RSS feed and are customizable. Directions for setting up alerts for two major database publishers are below. To use alerts, you have to create (or use an existing) account on the database - either Ebsco or ProQuest. These accounts are independent from library/CCBC accounts. Click the Share link and select E-mail Alert from the resulting pop- up menu. The Create Alert window appears over the result list. 3. 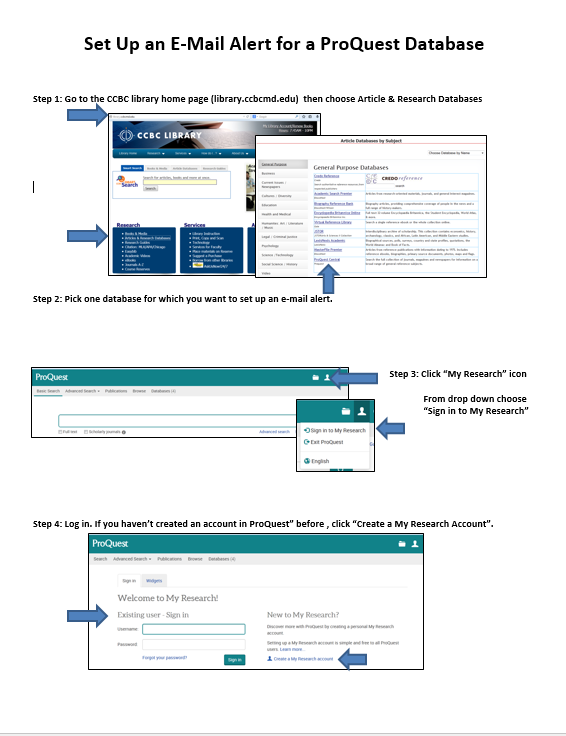 If you have not done so already, click the Sign in link in the alert window to sign into your My EBSCOhost folder. 4.Set your alert parameters and click Save Alert. Download this two-sided handout of the material above for printing.